Ask Dr. Nichole Martin: "What Type of Floss Should I be useing?" When you walk down the oral care aisle at your local drugstore, you might be completely overwhelmed by the dizzying array of floss options! Unwaxed, waxed, tape, flavored, unflavored, picks…how do you choose the right floss for you? Is one type better or more effective than others? It ultimately doesn’t matter which type of floss you choose – as long as it’s a floss you’ll use every day. Waxed: Nylon waxed floss is a widely available option and slides easily in between the teeth. It comes in a variety of flavors (mint, cinnamon – even bacon!). While there’s no difference in effectiveness between waxed and unwaxed floss, many people find waxed a little easier to use. Dental tape: Dental tape is essentially a thin “ribbon” of floss that easily slides between teeth. Because it’s easy to use, dental tape can be a good option for beginners. Ultra or Super Floss: Spongy, stretchy floss (often called “ultra” or “super” floss) is made of stretchy materials and fits easily around braces, bridges, or other dental appliances. It can also be a good choice for individuals with wide spaces between their teeth. Floss to prevent tooth loss! No matter which floss you choose, flossing daily is essential since it removes the bacteria buildup that brushing leaves behind. If left unchecked, that bacteria could lead to the formation of decay and gum disease. Paired with diligent brushing and regular dental visits with Dr. Martin, flossing can help you keep your smile healthy for years to come! Don’t forget to book your next appointment with your Lynnwood dental team at (425) 774-5596. 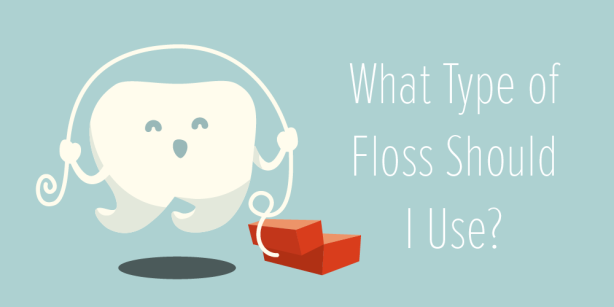 What’s your favorite type of floss? Leave a comment below and tell us!